Exile Night continues to be a life-changing experience for youth groups, student groups and churches across the United States. The Voice of the Martyrs’ Exile Night is a special one-night event that enables participants to identify in a small but powerful way with our persecuted Christian brothers and sisters who have been forced to flee from ISIS and other extremist groups because of their faith in Christ. Exile Night participants eat what their exiled brothers and sisters eat and sleep how they sleep, gaining a deeper understanding of what persecuted believers learn through severe trials — that Christ is what matters, even when it costs everything. “Our exile night was a huge success. Our students really were able to grasp and empathize with what our persecuted brothers and sisters endure on a daily basis. The materials and ideas that I received in the Exile Night Kit were so helpful and I found it very easy to execute this event! Thank you for all you do to help youth pastors like myself inspire the next generation to stand with the persecuted. As we enter spring and with summer just around the corner, now is the perfect time for your group to plan an Exile Night. You can get your resources for leaders and students here. Send us feedback on how your Exile Night went. We would love to hear from you! 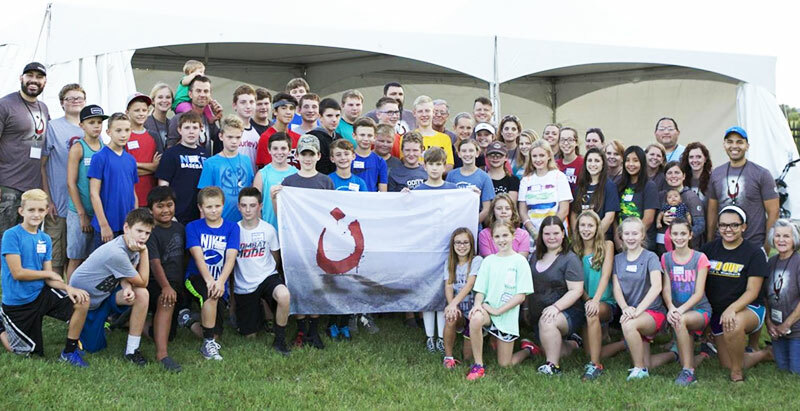 Hundreds of church and student groups throughout the United States have chosen to experience "exile" for one night through The Voice of the Martyrs' Exile Night. This special one-night event enables participants to identity in a small but powerful way with our persecuted Christian brothers and sisters who have been forced to flee from ISIS and other extremist groups because of their faith in Christ. The resources available for leaders and students at i-am-n.com/exile-night have been downloaded more than 5,000 times, and hundreds have purchased Exile Night student and leader packs. All proceeds from the sale of these materials go directly to support Christians facing Islamic extremists. Exile Night provides believers in the United States an opportunity to identity with our persecuted family members in a tangible way. Participants eat what their exiled brothers and sisters eat and sleep how they sleep, gaining a deeper understanding of what they learn through severe trials — that Christ is what matters, even when it costs everything. "In a culture full of distraction, the opportunity Exile Night provides helps to shift the focus off of our own kingdoms, and onto the beating pulse of God's heart — the world." "Last night we got the opportunity to join alongside persecuted Christians. We ate foods that they would eat, we played soccer, and slept outside. It was cold, uncomfortable (did I mention cold?). We were given the opportunity to lift them up to Jesus through prayer and worship, and create medical packs so that they could have basic necessities and to write them letters of encouragement. I am so inspired by these people, these family members, who are choosing Jesus every single day, though it is literally costing them everything." 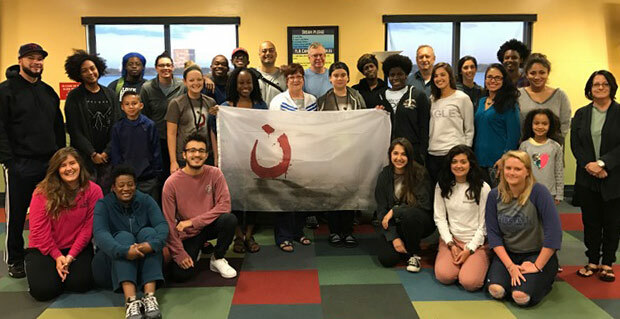 "This weekend's one-of-a-kind event provided unique opportunities for our students and leaders to learn about and consider the state of hundreds of thousands of displaced refugees scattered throughout the Middle East. The training and simulation was informative and challenging, yet extremely encouraging. My exposure to the stories of these exiles has helped me to empathize with a people I was formerly quite ignorant of." "We have been deeply impacted by the I Am N stories of our persecuted brothers and sisters in Christ shared by VOM. I am extremely proud of the students who came to Exile Night and experienced in a small way what it's like to be an exile, as they slept outside under tents on a cold night, prayed for their persecuted family, and packed med kits and wrote letters that will be given to refugees who are living in much worse conditions every day. We are now marked not just with a letter that ISIS spray-painted to identify Christian homes, but we are marked by believers' courage, sacrifice, forgiveness, and joy and reminded of the price Jesus has paid for all of us so that we could demonstrate that sacrificial love to others." "I think I mainly took away learning just how bad they (Christians) were persecuted. Finding out how they had to leave their homes in the night; that really got to me. To have to leave and only be able to take a few things! We are really blessed to be able to keep all of our stuff in our houses and in our rooms." "My husband and I hosted an Exile Night at our church. What an AWESOME NIGHT of worship, prayer and eye-opening lessons! I was so grateful and happy to spend the night with our group of AMAZING people … drawing close to our global family of believers by denying our flesh its familiar comforts. The SACRIFICE, FORGIVENESS, JOY, FAITHFULNESS, COURAGE, & PERSERVERANCE of our brothers and sisters was truly inspiring. Definitely lit a fire under me! "I will not let them suffer in silence. … I will not let them serve alone." Praying for my family!!! The “I Am N” campaign has already provided more than $5 million in aid to victims of ISIS. VOM will continue to stand alongside these brothers and sisters, who remain joyful and blessed by their relationship with Christ despite having lost everything they own. The joy they have in Christ is something the extremists cannot take away from them! 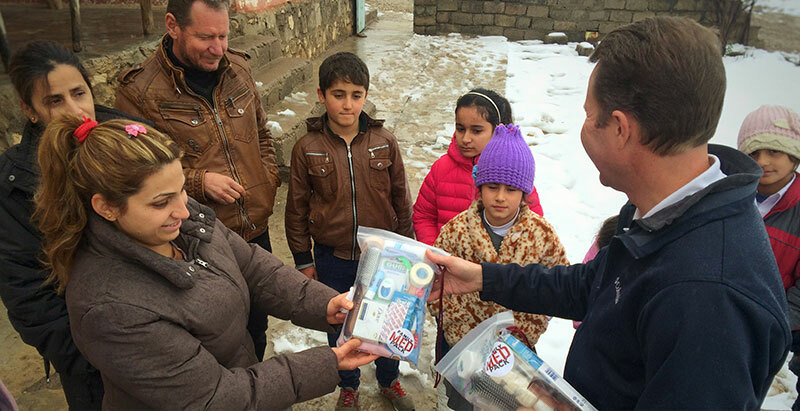 Jason Peters and Todd Nettleton, host of VOM Radio, recently joined VOM’s Iraq team to meet with Christians in northern Iraq and to distribute the first-ever Family Med Packs provided by The Voice of the Martyrs (VOM). After distributing the packs, they joined Christian workers who live in the region to learn more about their incredible stories. You can listen to their follow-up interview here.